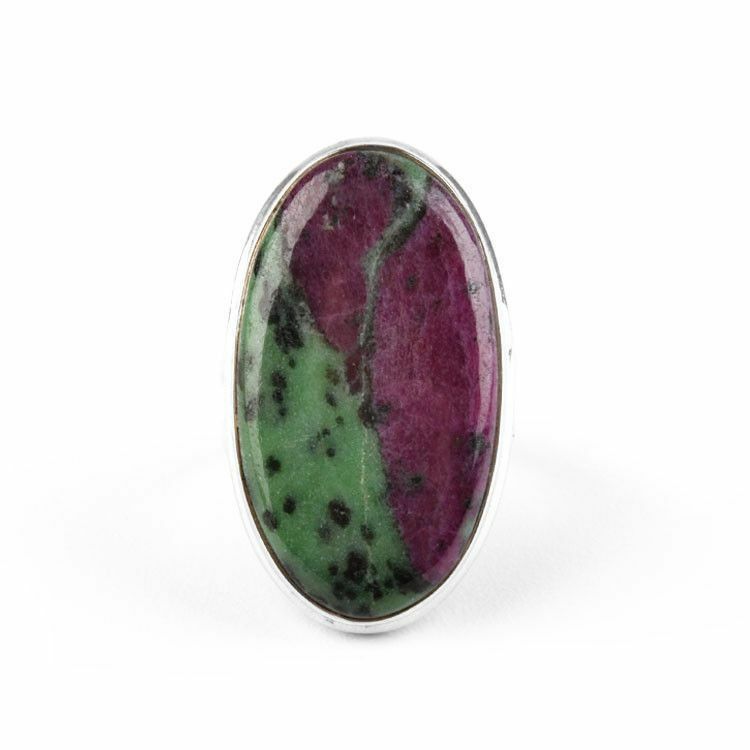 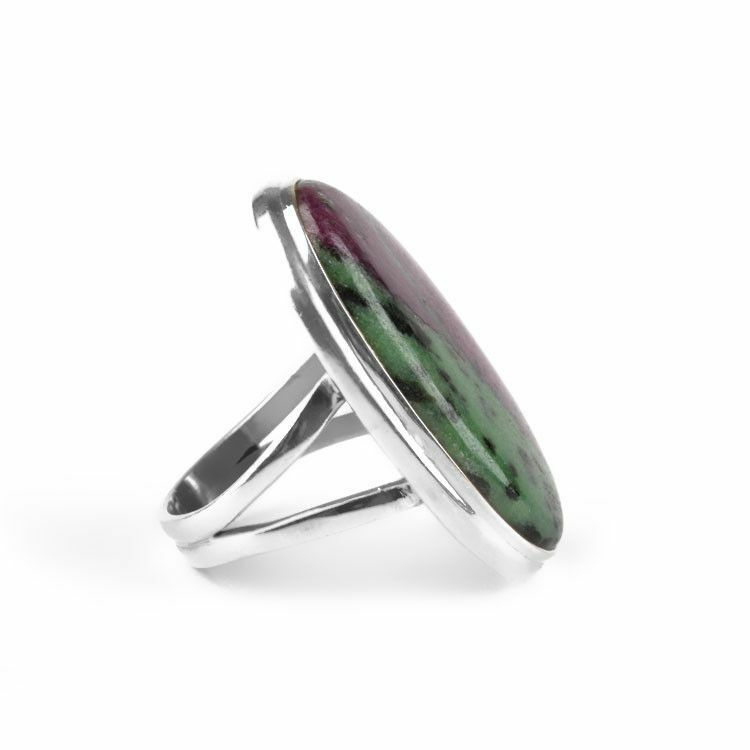 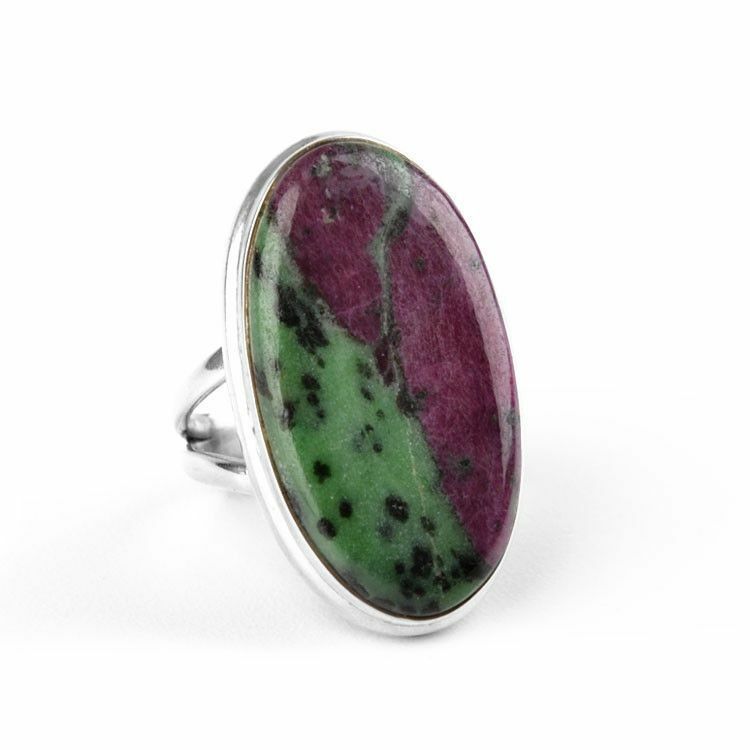 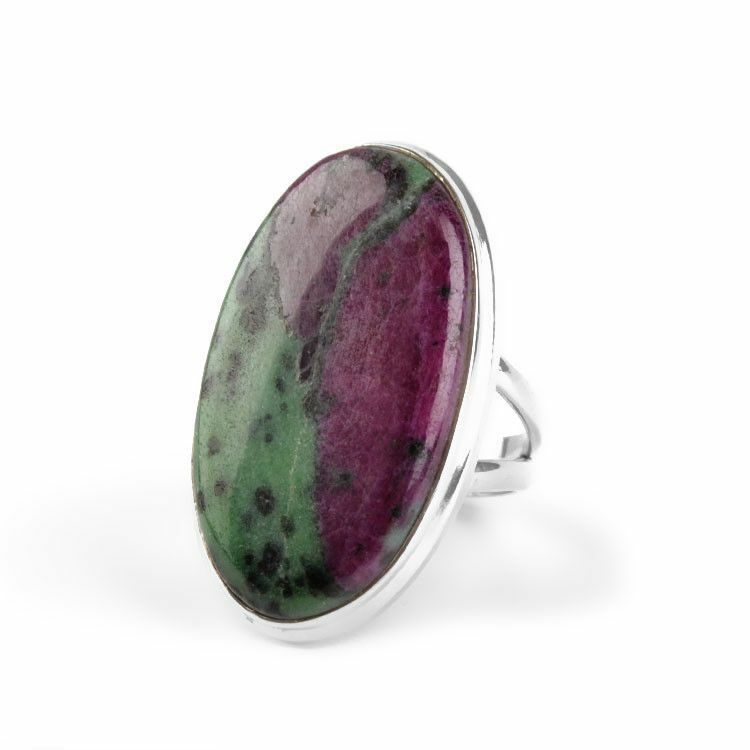 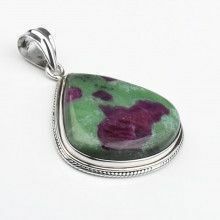 This lovely green and purple ring showcases a 1 1/8" long, 5/8" wide Ruby-Zoisite gemstone. 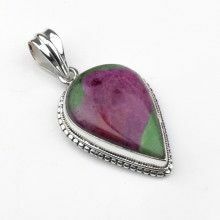 The oval gemstone is set in sterling .925 silver. 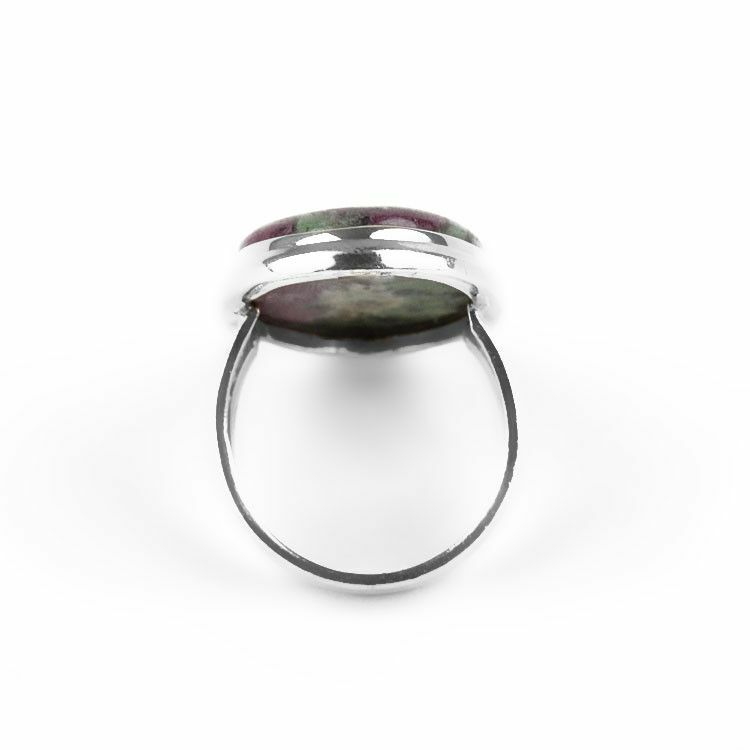 This low profile ring is an excellent jewelry option for everyday!